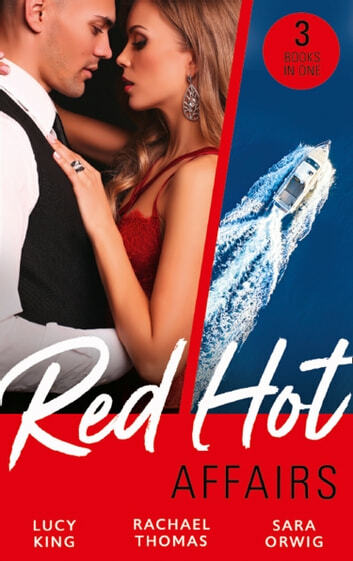 Red-Hot Affairs with… A Mediterranean King Laura’s decided to take charge of her life! However, the last thing she expects is to end up naked with the gorgeous guy next door… Then she gets a new job – on a Mediterranean island – and forgets about her passionate night until the island’s new king arrives…. An Italian Racing Driver Handsome star of the racing circuit Sandro Roselli sends Charlotte Warrington’s pulse speeding and her senses crazy! When he offers her a job one thing leads to another, but can their heady affair survive the dark secret the irresistible Italian hides? A Texas Tycoon Isabelle Smith isn't surprised that her new boss, Tony Ryder, doesn't remember her. Their night of passion was so long ago… So when he does and he makes her an offer, Isabelle thinks fast; she needs a wedding ring and this is now the negotiation of their lives!